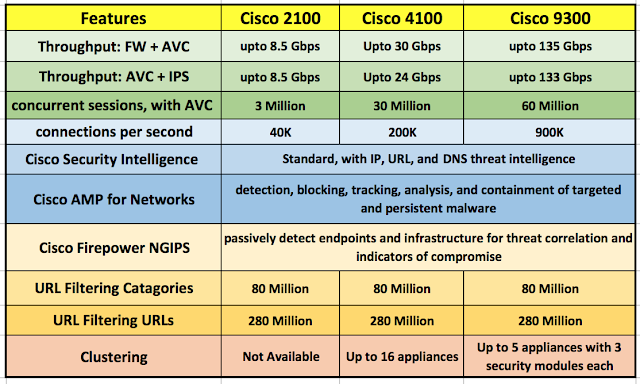 Today I am going to talk about the Next Generation Firewall Appliances which was released by Cisco I already discussed a lot on the Firewalls in my previous mails where i compare the Next generations firewalls from different vendors which include Cisco, Palo-Alto, Checkpoint, Fortinet, Bluecoat and many more. Here in this article I am not talking about the other vendors as this article is all about the Cisco Next generation firewall. 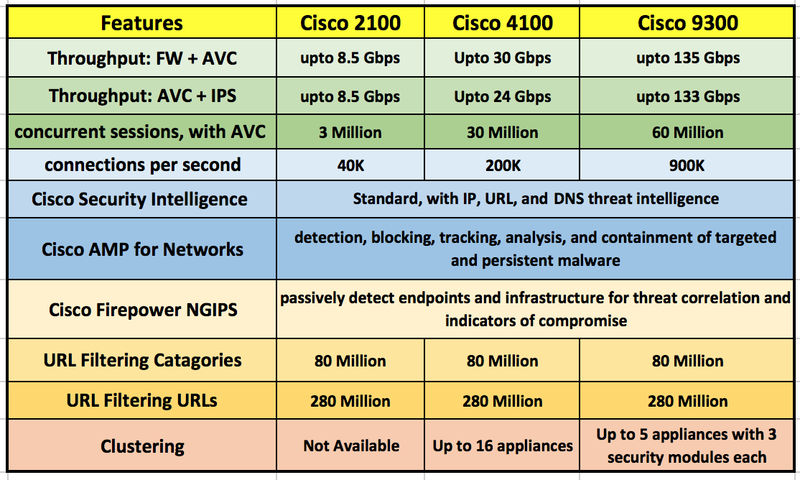 Let's talk about the Cisco FP 2100 series Firewall, Cisco Firepower 2100 Series is a family of four threat-focused NGFW security platforms that deliver business resiliency through superior threat defence. Cisco Firepower 2100 series Firewall provides exceptional sustained performance when advanced threat functions are enabled. Platforms like Cisco FP2100 series Firewall uniquely incorporate an innovative dual multicore CPU architecture that optimizes firewall, cryptographic, and threat inspection functions simultaneously. Cisco FP (Firepower) 2100 series firewall having the throughput ranges from 1.9 to 8.5 Gbps, addressing use cases from the Internet edge to the data center. Cisco Firepower 2100 Series appliances may also be deployed as dedicated threat sensors with fail-to-wire network modules. 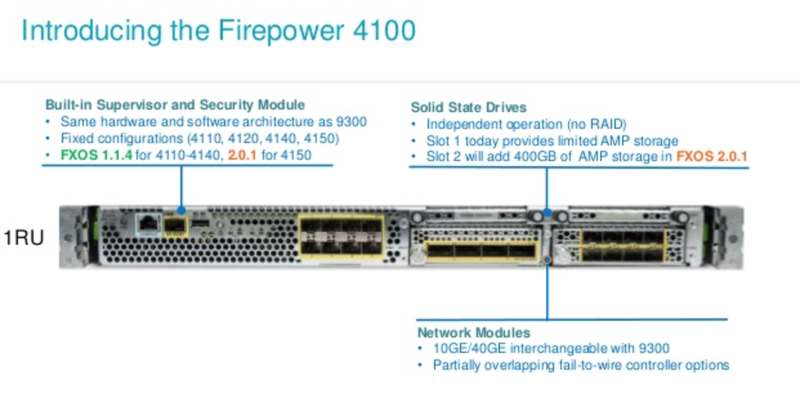 Let's talk about the Cisco FP 4100 series Firewall, Cisco Firepower 4100 Series is a family of four threat-focused NGFW security platforms. Their throughput ranges from 35 to 75 Gbps, addressing data center use cases. They deliver superior threat defence, at faster speeds, with a smaller footprint. 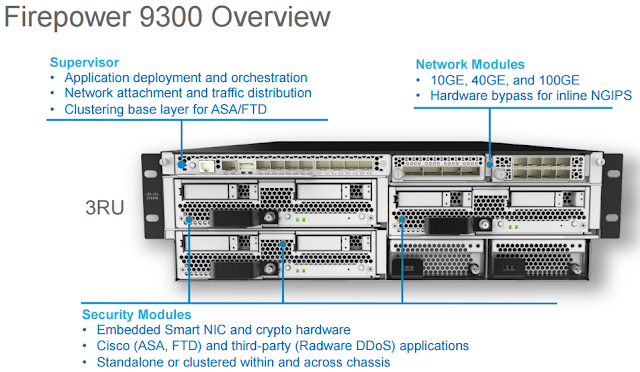 Cisco Firepower 9300 is a scalable (beyond 1 Tbps when clustered), carrier-grade, modular platform designed for service providers, high-performance computing centers, large data centers, campuses, high-frequency trading environments, and other environments that require low (less than 5-microsecond offload) latency and exceptional throughput. In my next article, i will talk about the Palo-Alto Firewall models and comparison and later I will cover Checkpoint as well.